Which is your favourite Gospel? 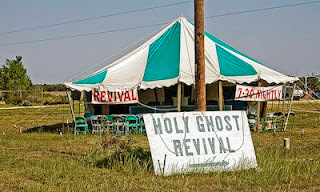 Meaning good news, we use the word both for the Christian message and the first four New Testament books. In different ways, the Gospels combine to teach one unified gospel. In our Bibles, Matthew is first. It focuses on Jesus as divine Son of God and Messianic King. In the early church it was a liturgical favourite, perhaps because, in comparison with Mark, its narrative style is generally more concise. It is also perhaps the most orderly Gospel. Today we more readily turn to John or Mark. Perhaps we ought to give more attention to Matthew. Whether Matthew wrote first, we cannot be sure. In light of Chapter 24, he undoubtedly wrote before 70 AD, perhaps as early as 45 or may be 63-67. Now divided into 28 chapters, only Luke is longer. Some 68% of Matthew is replicated in other Gospels but the material has its own particular shape with unique material at either end. In 1:20-2:16 is Joseph’s vision, the Magi, flight to Egypt and Herod’s massacre. In Chapters 27 and 28 are the dream of Pilate’s wife, Judas’s death, the resurrection of Jerusalem saints, bribing the guards and the Great Commission. There are also 10 unique parables (tares, hidden treasure, costly pearl, dragnet, unmerciful servant, labourers in the vineyard, two sons, marriage of the King’s son, 10 virgins, talents) and three unique miracles (two blind men, mute demoniac, coin in a fish’s mouth). Matthew uses miracles more to prove Christ’s Messiahship than to advance narrative, even when duplicating Mark and Luke. A long and ancient tradition says that our first Gospel is by customs officer and apostle, Matthew Levi. The name Levi is not in Matthew and when it refers to his banquet, it simply says it was in the house not his house. It is the only Gospel to refer to Jesus paying the Temple tax, which may be significant. It was believed that Matthew wrote first in Hebrew or Aramaic. If so, what we have is a re-write rather than a translation. The opening phrase, The book of the generation of Jesus Christ, the Son of David, the Son of Abraham is similar to the repeated phrase in Genesis the generations of ..... Christ’s genealogy follows. Matthew wants to show that all he relates about Jesus of Nazareth goes back to God’s covenants with Abraham and David of a great nation and an eternal house. These are fulfilled in him. Matthew portrays Christ as teacher but especially as king. The phrase kingdom of heaven occurs 33 times, kingdom of God five times and the royal, messianic title Son of David nine times. Because he had Jews in mind, Matthew often speaks of the fulfilment of Old Testament prophecy, frequently quoting it or alluding to it. There are some 53 quotations, easily more than in any other Gospel. In 4:17 and 16:21 we have the phrase From that time …. Seemingly insignificant, on both occasions it marks a major turning point. In 4:17, the opening of the Lord’s public teaching ministry. Having established the Lord’s identity from Scripture, Matthew relates that when the Lord heard that his forerunner John was in prison, from that time he began to teach and preach, saying Repent for the kingdom of heaven is at hand. In 16:21, after Peter’s confession, we read From that time Jesus Christ began to show his disciples that he must go to Jerusalem and suffer, etc. Some have seen in these five major sections a parallel to the Five Books of Moses, the Torah. A new Moses gives a new Law for his disciples, a law written on the heart not tablets of stone. Certainly a theme in Matthew is that of fulfilment and it could be said that the New Testament people of God, Christ’s followers, are to fulfil what the Old Testament people failed to do. The Lord fulfils all that Scripture foretells. He also makes clear, in Chapters 5-7 for instance, their true meaning, which had been obscured by Pharisaic legalism. But Jesus does more than simply complete the old ways, he inaugurates a new way, with new and distinctive teaching. Some see 13:52 as a key verse Every scribe who has become a disciple of the kingdom of heaven is like a head of a household, who brings forth out of his treasure things old and new. First Century Teachers of the Law never said anything new. They always went back to the traditions for their teachings. The Lord himself had authority to build on what was given, not rejecting it but bringing out what was old and developing it and taking it consistently further to the fulfilment of God’s purposes. This is one reason why his teaching came to the people with authority and freshness. 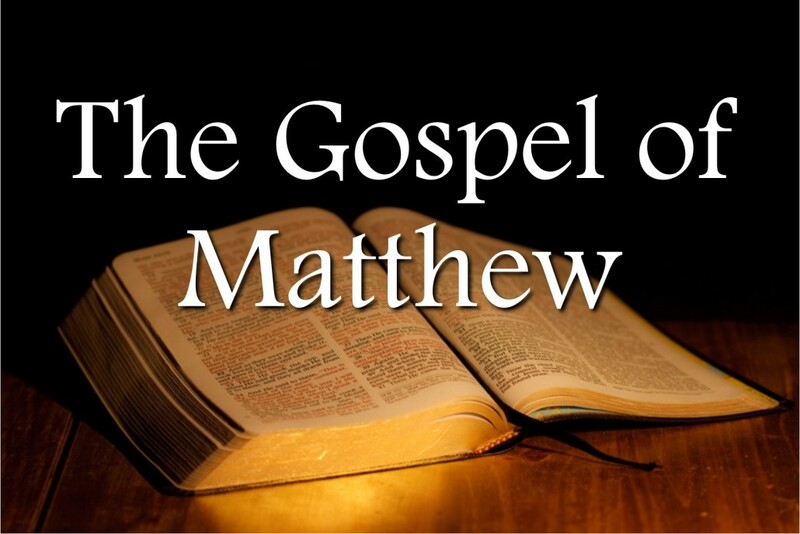 In summary, Matthew shows Jesus to be the one the prophets foretold, the Messiah. He shows that he came to his own but his own would not receive him. He also shows from the start, with the account of the Magi, that Gentiles would be drawn to him. The Gospel contains biting denunciations of the Jews for rejecting Messiah. For instance, the woes on the cities that rejected him (11:20-24), including a statement that must have staggered the Teachers of the Law and priests - they would be shown up at the Judgement by the Gentiles. Also note the lengthy discourse in Chapters 24, 25 on the overthrow of Jerusalem. When did you last read Matthew’s Gospel? Perhaps it is time to get reading it again.